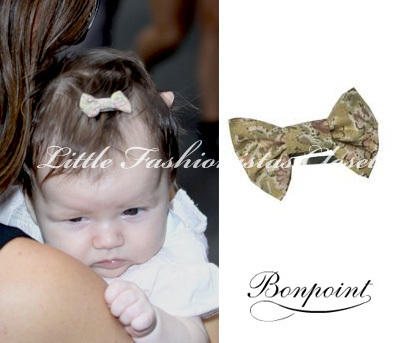 Suri was accompanied by her nanny to dance class in NYC on Thursday, 20th. 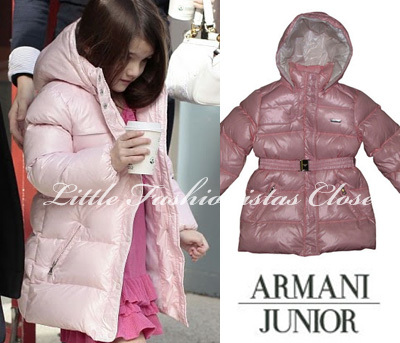 Suri was wearing Lelly Kelly shoes, pink tutu & bodysuit under her Pink Down Puffer Coat FW'10 by Armani Junior, which she first wore on February 24th, 2011.
later Suri & Katie were spotted leaving their NYC apartment. outfit info: DKNY purple dress. Katie Holmes opens up about her daughter Suri and how she balances her career and family life. On what's up next: "I'm excited to begin a new phase: roles I might have been afraid to play before, places I want to travel to with my daughter. I'd like to build the design business. But not too fast." On Suri's fortunate position as the daughter of famous parents: "Being around this business, my daughter is exposed to people with incredible talent, people who are the best at what they do. People I only dreamed of getting to work with as a little girl." New Blog: Harper Seven Beckham - Complete Wardrobe!!! Follow Harper's Style and day-to-day Updates: http://harperbeckhamfashion.blogspot.com/! Suri & Katie went shopping to Toys'R'US in Hollywood, CA on Monday, 10th. Suri purchased Huggable Purple Hippo. outfit: dress by juicy couture, flip-flops by gap. 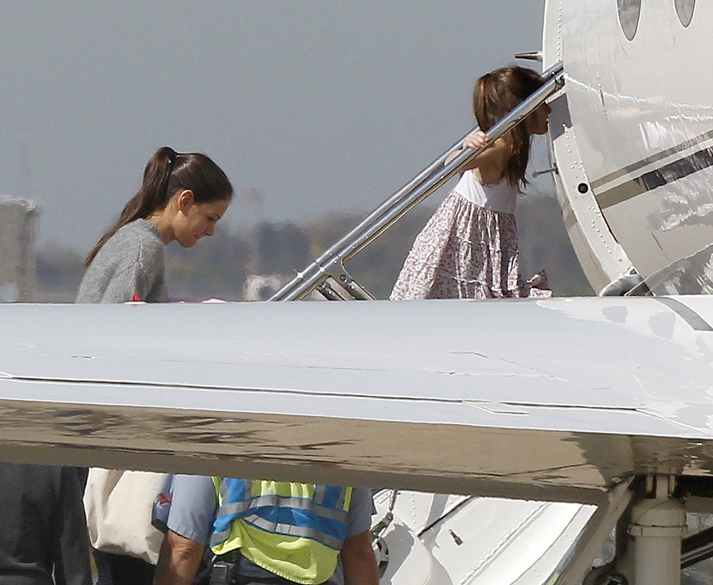 Suri & Kati spotted leaving Pittsburgh on their private jet on Sunday, 9th. 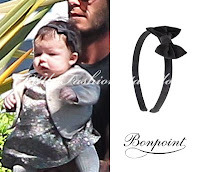 Suri is wearing Knit Tiered Floral Dress SS'11 by Splendid Littles. 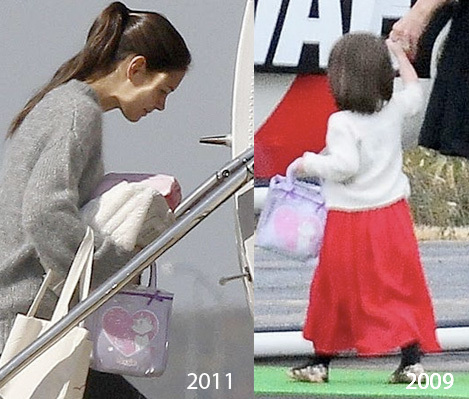 Katie is holding Disney's Marie Kitty Bag, which was presented as a gift to Suri on their arrival to Japan in March 2009. Suri & Katie were spotted out & about in Pittsburgh on Tuesday, 4th. 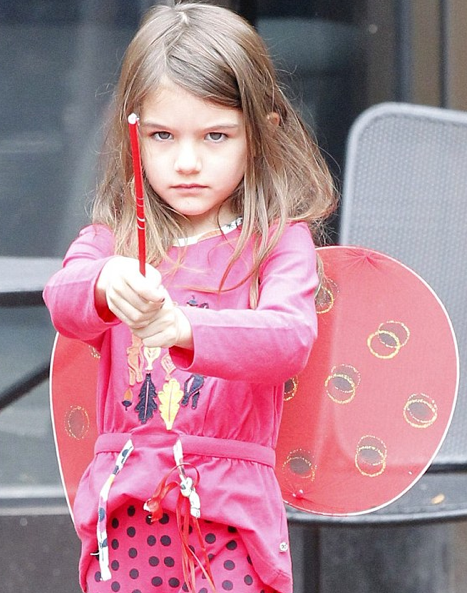 Suri was dressed up as a Ladybug Fairy! outfit info: emu ladybug boots. 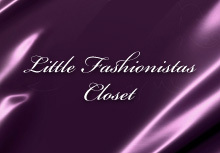 iam on vacation in Paris & DLP, all news & outfits will be posted after 12th of October. Suri & Katie visited Children's Museum in Pittsburgh on Monday, 3rd. 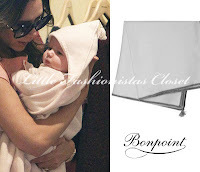 Suri is wearing Glitz Sequin Faux Fur Jacket by Cach Cach and Royal Blue Bow Sandals SS'11 by Little Marc Jacobs. outfit info: little ella dress.